CATIOZOL GM is a cationic asphalt emulsion that is modified by rubber. 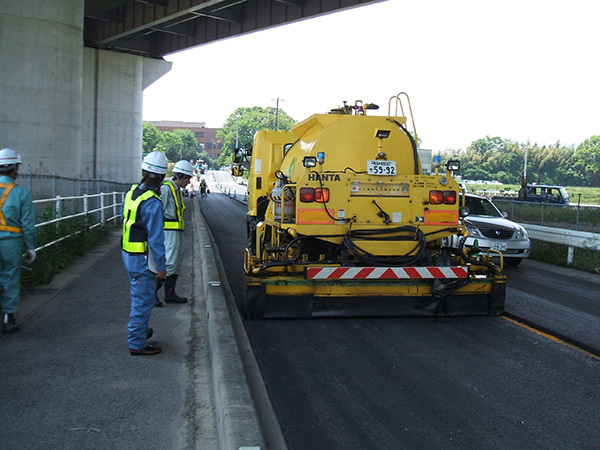 It conforms to the Japan Emulsified Asphalt Association Standards and the Pavement Design and Construction Guidelines (PKR-T). Has outstanding adhesive ability with the aggregate, so that a higher adhesive strength can be obtained than normal Tack Coat Emulsion (PK-4).